The PortlandonTheMarket.com property search allows you to easily view all Nob Hill Oregon homes, condos and foreclosures that are currently available. Once you set up your search you will be able to get new property listings daily that match you criteria so you can be informed more then any other buyer in the market. You can refine and save searches from any of the search options on this site. 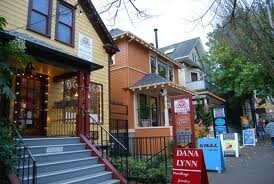 The Nob Hill neighborhood is located in Northwest Portland in the very popular NW 21st and NW 23rd streets. Within these blocks are Portland’s most popular restaurants and shopping all surrounds by gorgeous tree lined streets. This area is located abutting Downtown Portland and is within seconds of all areas including the Pearl District, Park Blocks, Alphabet Historic and more. Along the side streets of Nob Hill you will find fantastic homes ranging from Historical Old Portland Mansions to smaller quaint houses and condos.